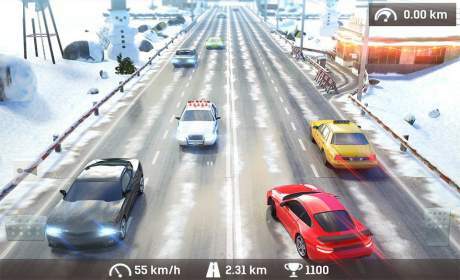 Feel The Rush Of Illegal City Racing & Become Living Legend of American Roads. Race through traffic in new endless racing game. Earn Points and Money, buy better cars and ultimately experience endless racing. Push the acceleration and test your and your car limits on suburb and highway roads racing through traffic. Become formula race professional driver on standard road, earn money for near miss hits, distance covered and speed above 100 km/h. Receive money for your rewards and spend them on upgrades, new cars or tune the body of your car and make it more individual. 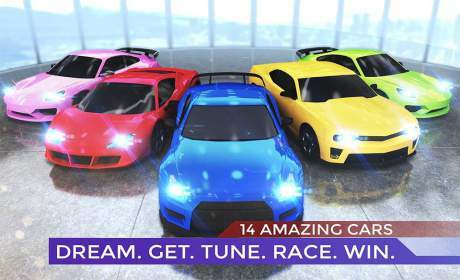 Perform crazy nitro drifts with drag astonishing cars. Rush your engine to the limits and feel the simulator driving style. And remember – parking is not allowed, at least when you want simulation experience. 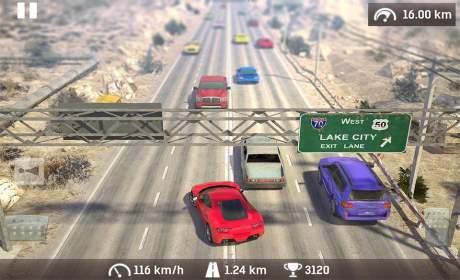 Traffic: Illegal Road Racing 5 is a new milestone in the genre of endless racing games. Many cars and a lot of tracks set in different locations in day and night, in winter and summer will bring you hours of fast paced fun. Racing games like this are the ultimate test of skills and dexterity. Traffic: Illegal Road Racing 5 has an unique difficulty setting made in an easy to learn but difficult to master way. The player is rewarded for aggressive and dynamic style of playing with more points. This way seasoned players can win more while still having the time of their lives even after countless days of playing. Think about the emotions that illegal racing in traffic can give to you. Crisp graphics, awesome and fast paced gameplay, the smell of gasoline and smoke… Feel the breathtaking speed as you race against the time through streets and highways in rush hours. As an illegal racer and a passionate driver you’ll have to do your best to beat all of the challenges. The sheer adrenaline of racing in traffic is the way of endless entertainment. Use the acquired cash to upgrade your car so you can race even better and faster. Your skills and determination are the only limit. Become the best illegal street racing professional in the world! Inspired by real-life illegal street racing and made with ultimate replayability in mind, this game is designed to give the player hundreds of hours of best fast paced entertainment. Grab the game and play now!